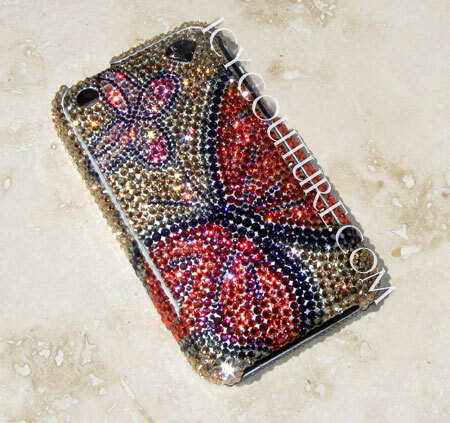 Venetian Butterflies - ICY Couture Phone Design with Swarovski Crystals. 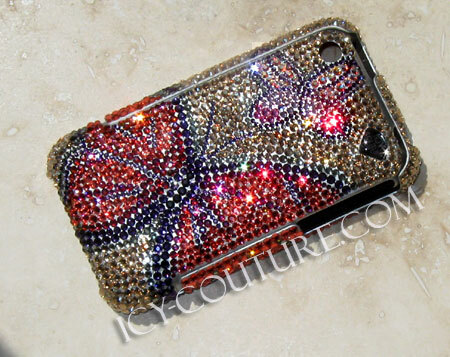 Home > CELL PHONE DESIGNS > Venetian Butterflies - ICY Couture Phone Design with Swarovski Crystals. Background color: Golden Shadow; Crystal size used: ss5. Whats Your Colors? This ICY Couture exclusive Swarovski Crystal design is an absolute stunner! 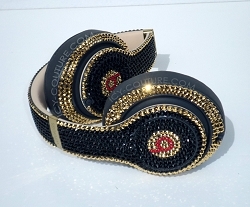 It makes an impressive, one of a kind, luxury gift for her that that will make most spoiled Diva happy! Recommended size for this design on a phone cover is ss8. Our brilliant designers make it by hand in Orange County, Ca. We ship worldwide. *Every ICY gift comes with Lifetime Warranty on our work. *We bling all phones! If you dont see your phone model in our list, please contact us. *We use multiple sizes in each design to create higher in quality crystal art work. 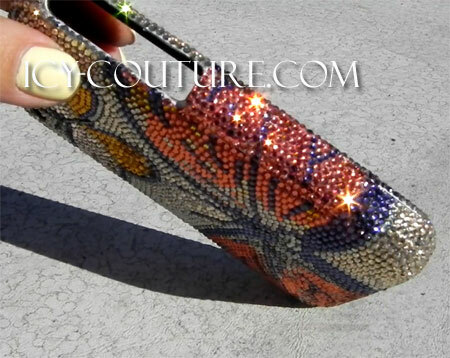 *Every package we send extra crystals in every size and color used in your design. 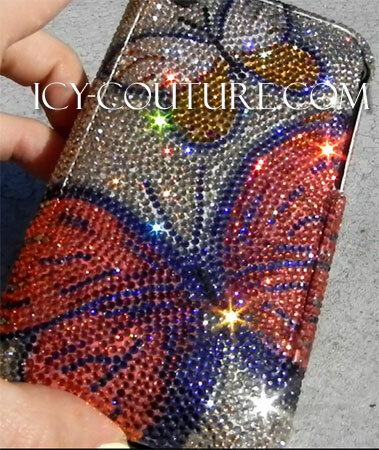 Venetian Butterflies - ICY Couture iPad Design with Swarovski Crystals. This is my 2nd phone cover from Icy. Even more amazing than the picture! They are durable and hold up well. I am so pleased, I am sure there will be more in my future. Don't hesitate to buy this one! It's gorgeous!